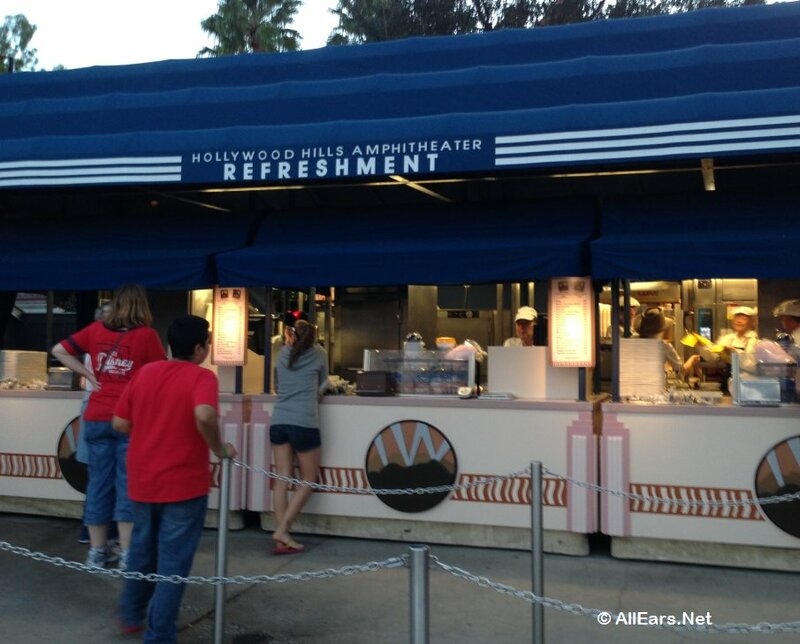 The snack counters at the Fantasmic! show offer a variety of treats. There is no seating in these areas -- take your food/beverage back to your seat in the bleachers. Fantasmic! is the evening laser and pyrotechnic show at Disney's Hollywood Studios.